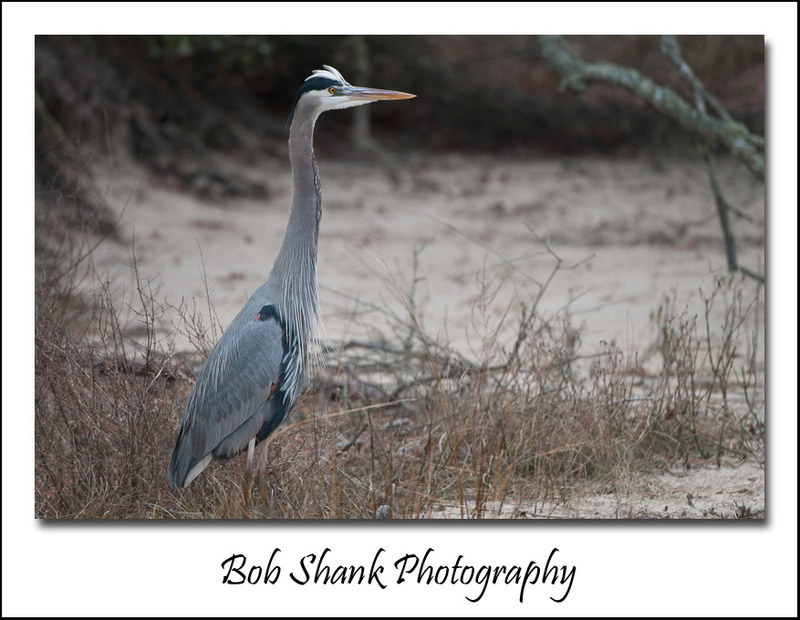 Earlier this month I had the opportunity to travel to Chincoteague, Virginia for some wildlife photography. I always enjoy spending time at this National Wildlife Refuge. The waterfowl and wildlife are usually abundant and fairly easy to photograph and this year was no different. 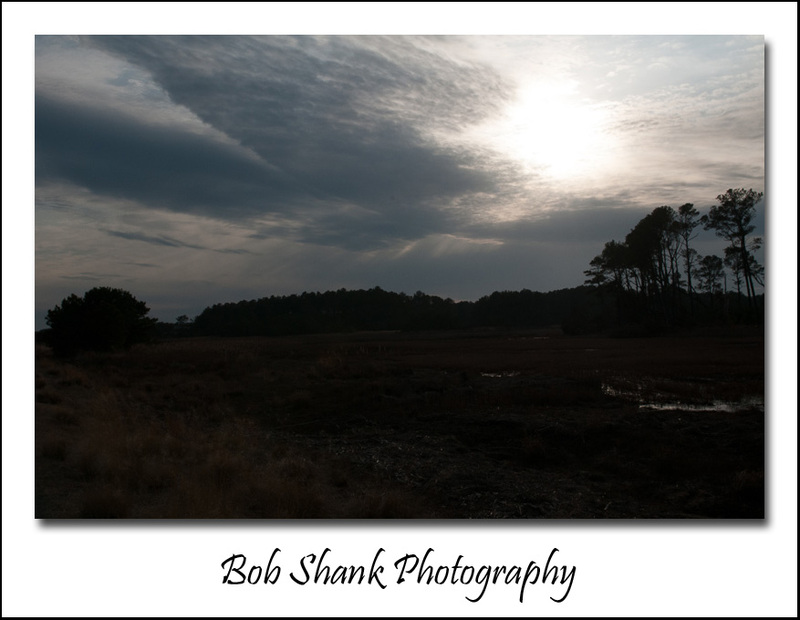 In fact, this year was the best photography Chincoteague has offered me so far! Right off the bat, a Great Egret, which was perched in a tree preening itself, offered some very nice poses. 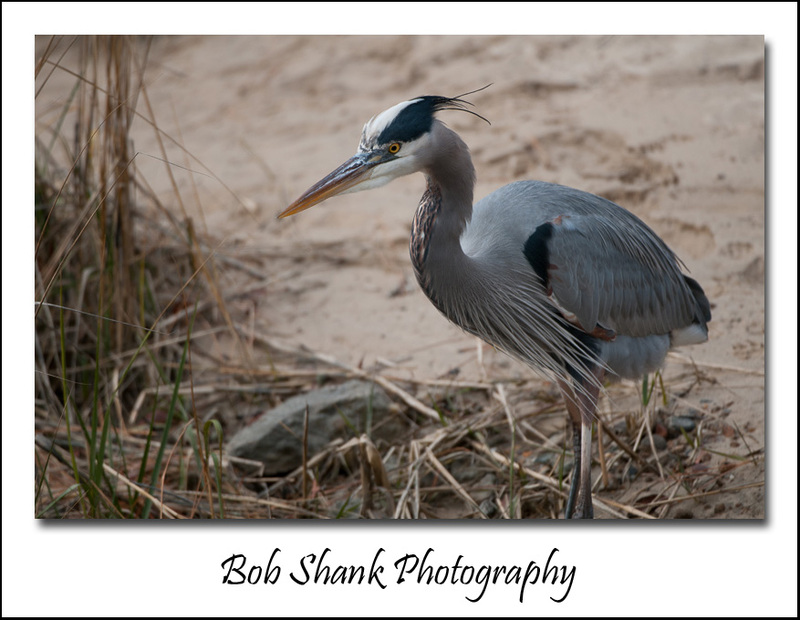 Then several Great Blue Herons offered a variety of shots with my camera and lens. 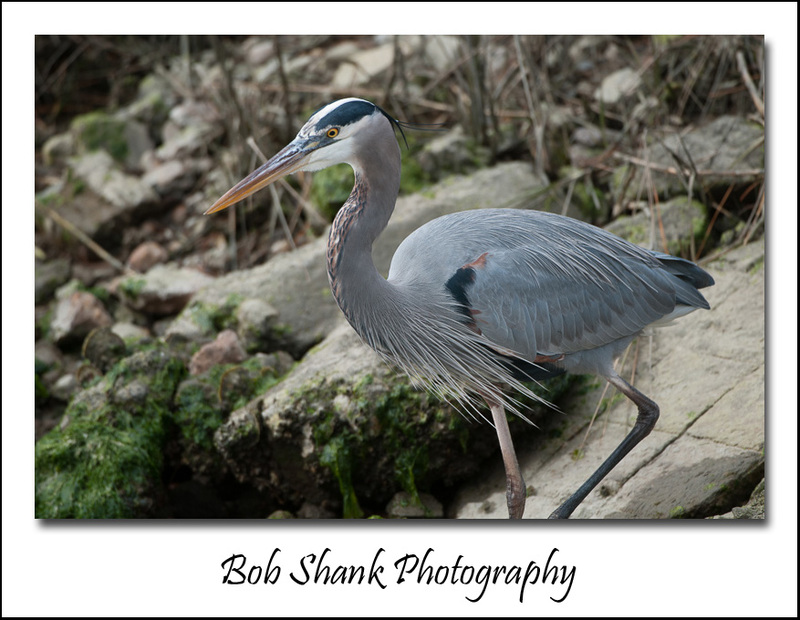 I enjoy photographing the Blue Herons, but they do scare easily. 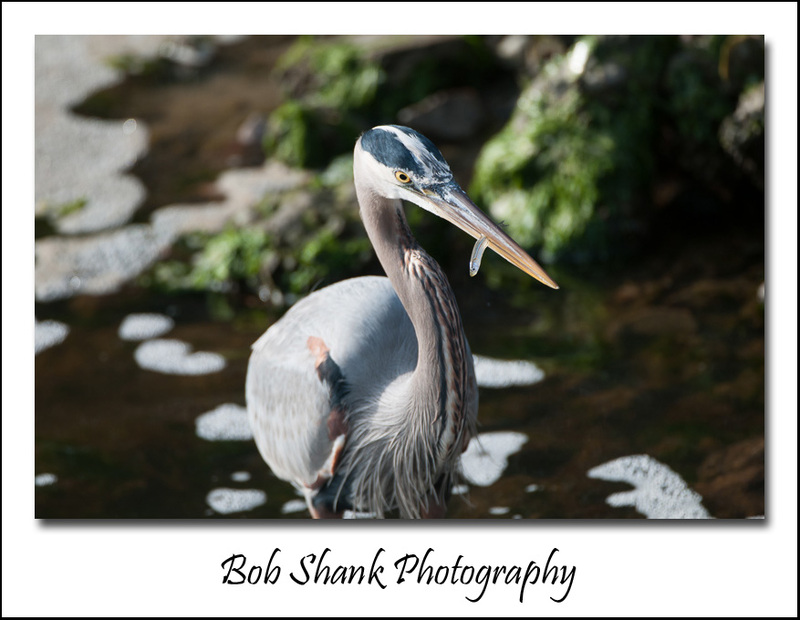 A long lens is definitely required for bird photography and even though the Blue Herons are very big birds, long lenses are still required when photographing them. The weather was absolutely beautiful for January and it was quite warm for this time of year. This definitely helped my wildlife photography on this trip because I prefer to stay on the wildlife for long periods of time. Many other photographers pull up in their vehicle, jump out, snap a photo, and are gone. This does not result in quality wildlife photography. There are some Blue Herons here in this brief blog post that I literally spent over an hour with behind my camera. Wildlife photography is not for the impatient. Time and effort and required for good, quality photographs. I hope these images show at least some of the time and effort I put into this day’s shoot. Late in the afternoon on Wednesday, the gates were opened in the waterways and the water was flowing, as gallons and gallons of water moved through the system. A Great Egret was fishing near the edge of the waterway. 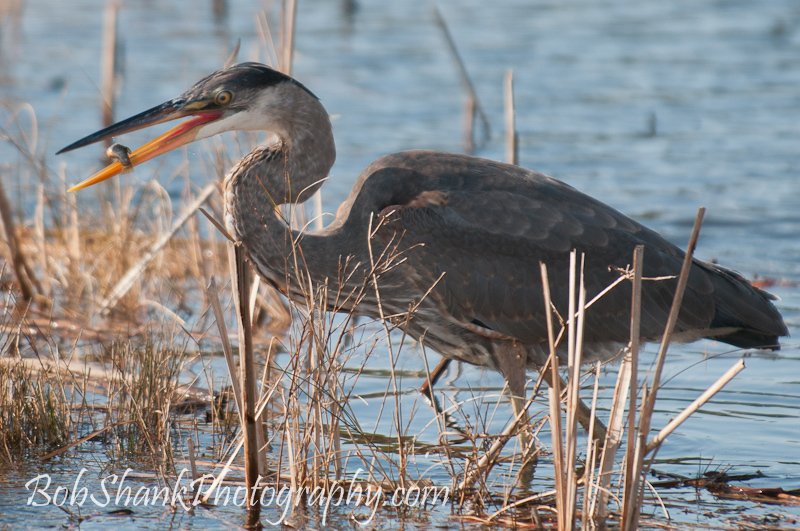 I just happened to walk up on it, but then a Great Blue Heron came onto the scene and wanted a piece of the action. He was forceful and chased the Egret away to take its prime place. 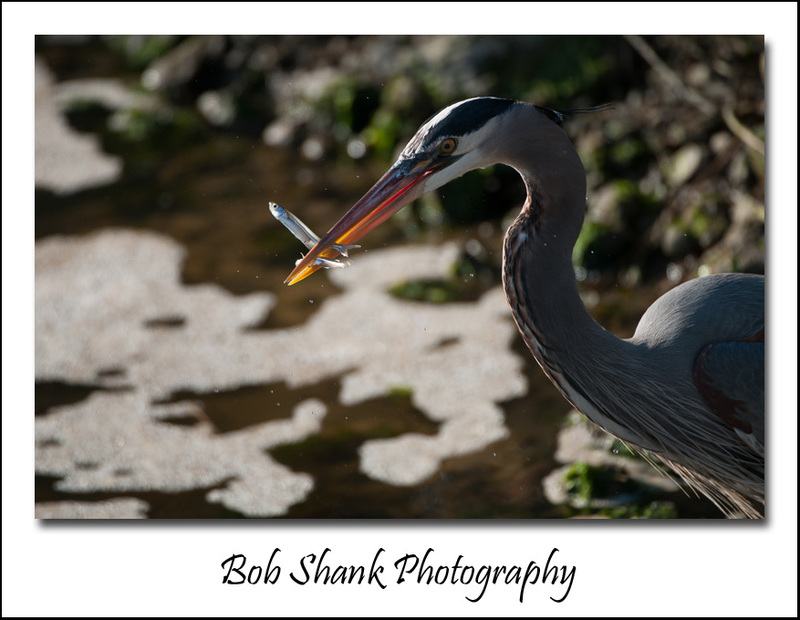 It worked, too, as the Blue Heron located one small fish after another. It was a feast for a king! I found the challenge of capturing the action with my camera to be fun and rewarding. The Heron first eyed up its prey, carefully and methodically. This took time and patience, which is why the wildlife photography has to be patient as well! Then the Heron plunged its long beak into the water with a great splash. 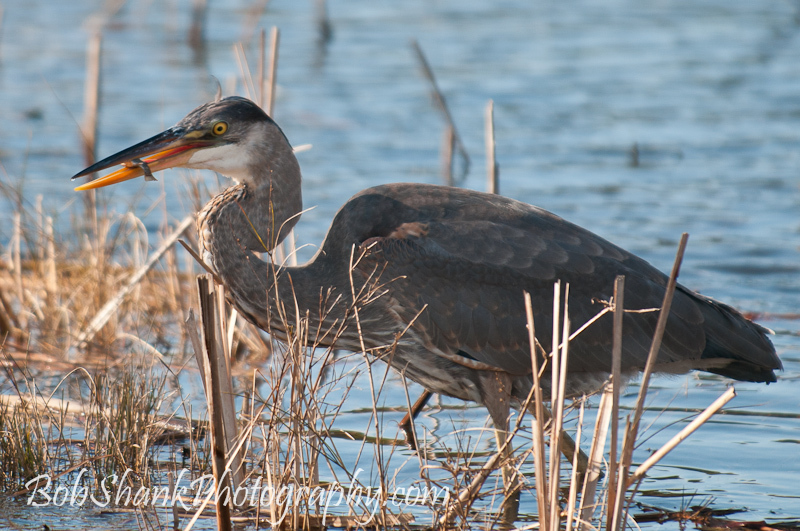 The Heron’s head emerged from the water with a fish in its beak almost every time! 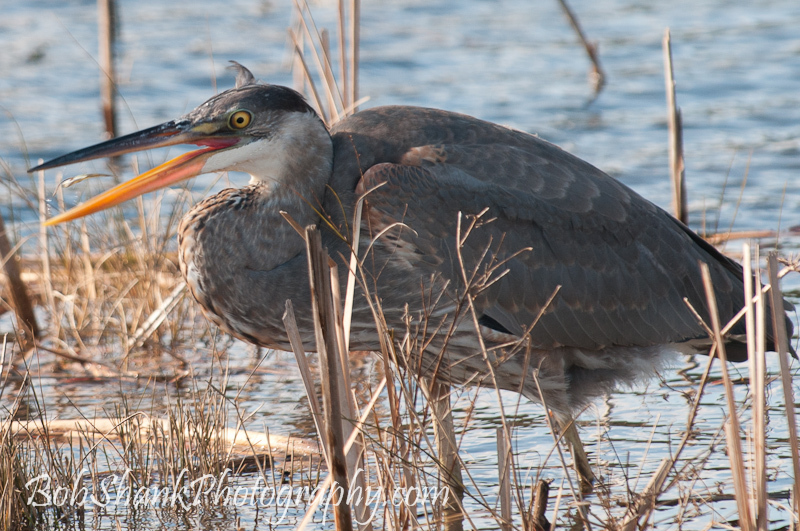 The back light from the setting sun behind the subject created an interesting glow on the Heron’s beak. 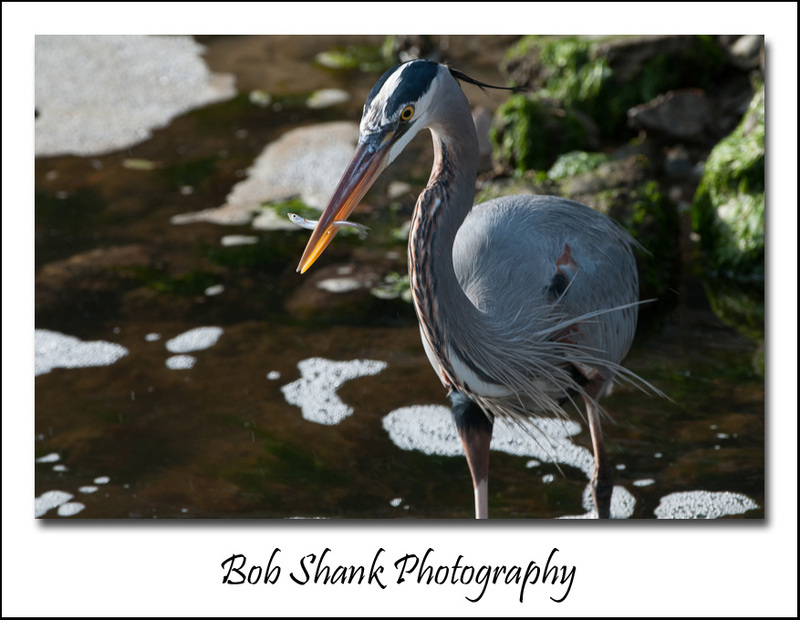 I was actually on the wrong side of the Heron to get the best photos of this bird, but wildlife photographers cannot always be in exactly the right place and time. I happened into the spot and onto the Heron, so I took the opportunity and made the best of it. Sometimes that’s all we can do. As the last shooting hour came to a close, I focused my attention and my camera to the sky. 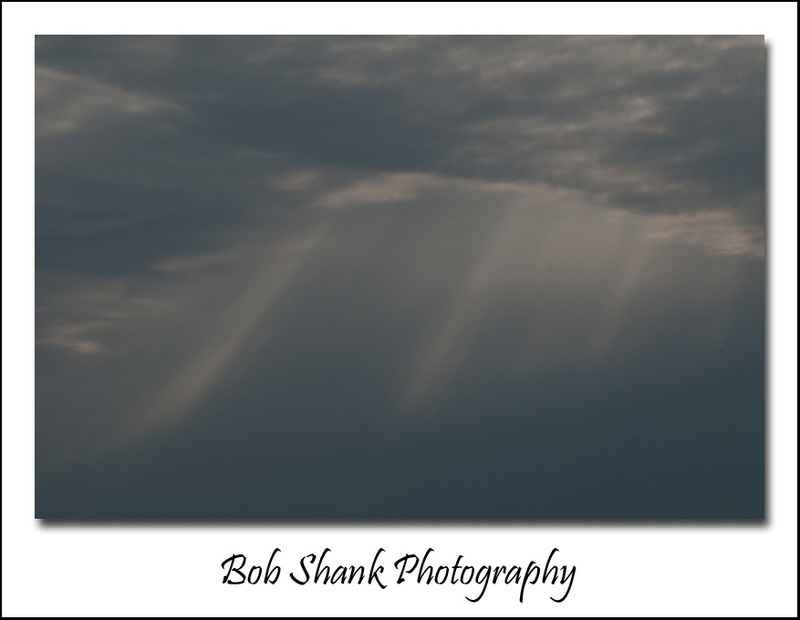 Here is what Moose Peterson calls “God Beams.” I enjoy the challenge of capturing these captivating beams with my camera and I am slowly learning to do so a little better. I am also finding myself using Manual Mode in my camera a little more often, too. This sunset silhouette was one of the last photographs I made that day. I like the way this one turned out. The sky has interesting clouds and the sliver of water below the trees on the right creates a little contrast in an otherwise blackened portion of the photo. Do you like these images?